When my husband and I adopted our son in 2006 from Russia, we felt that we could share our home with a child with minor special needs. Our agency presented us with a child who was diagnosed with special needs that we felt able to handle. We journeyed through the process with some concerns, but felt blessed that we would soon be parents. When we first met our little boy, the orphanage director was very concerned about his special needs. According to their information, he had Celiac’s Disease, asthma, severe eczema and hypospadias. Despite these things, we readily welcomed him into our family. Once back in the US, we learned that he did not have Celiac’s Disease, asthma or eczema. Like so many children from Eastern Europe, he had been over-diagnosed. He just needed a good diet and gentle laundry detergent. The hypospadias was corrected with a minor, out-patient surgery. His true "special need" was the need for a loving family with the time to sort out his challenges and the shower him with love. He has now grown into an active, affectionate, little guy whom we are so proud to call our son. 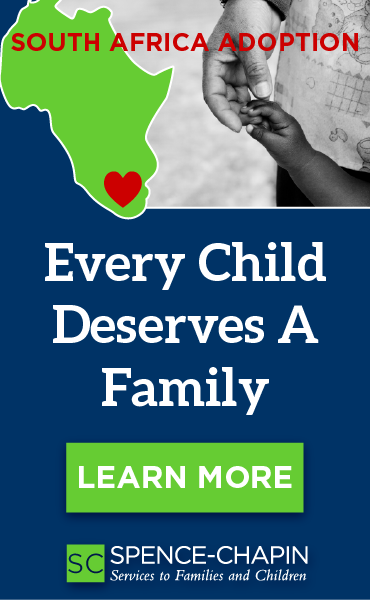 When we decided to adopt again, our hearts were burdened by the number of children considered special needs. We decided to adopt a waiting child from Russia. We completed a waiting child application, researching all of the possible special needs listed and deciding what we believed we could handle. A few months later, our agency called with information on a beautiful little 3 year-old girl with a limb difference. We had not considered what seemed to us as a "major" special need. But as we looked at her picture, we knew God wanted her in our home. We brought her home in July of 2008. Libby was born without a tibia in her left leg, so basically her foot was attached to her knee. We learned that her knee was not developed so she would need an above-the-knee prosthetic. She had to have her foot amputated and spent 4 days in the hospital. Finally, after all was healed, she was fitted for a prosthetic. Within minutes of getting the prosthetic on, she took her first steps. We got to see her take her first steps! Today, she runs, gallops, and jumps. She loves sports and ballet. We are so blessed to have her in our family and so thankful we stepped out in faith for this waiting child.